Malta – we love it right? You know that already, and you’ll have seen the photos of the gorgeous destination weddings we’ve planned there over the years. 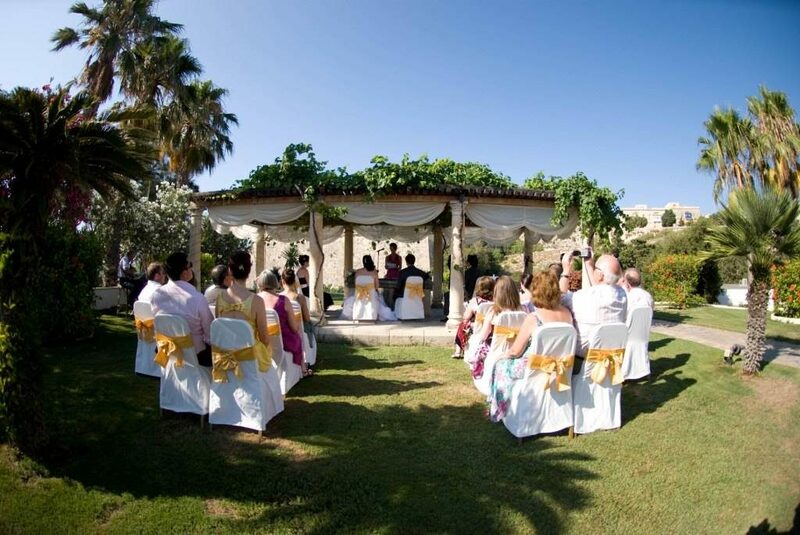 With over 300 days of sunshine a year, Malta is the perfect location for your destination wedding. Plus the plugs are the same as ours and they drive on the left – all good so far! 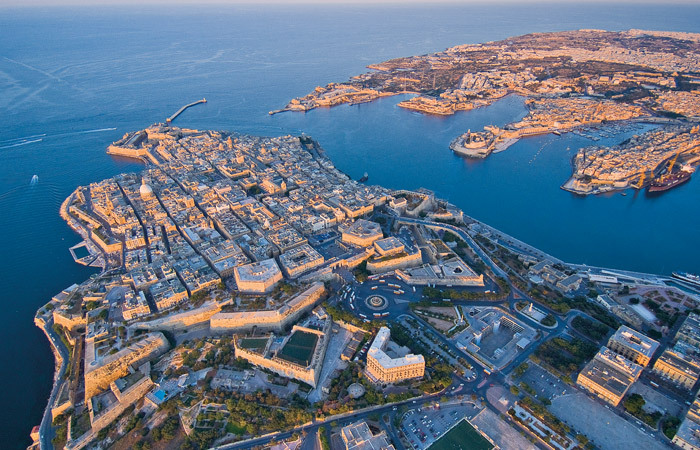 Within this stunning island, there is one city that just has it all – step up to the plate, 2018 European Capital of Culture – Valletta! There is so much history and beauty here that we wouldn’t dream of going through it all in this blog, but suffice to say you could spend days wandering its undulating streets and always find something new and spellbinding to admire. But…..this is not the time or the place for a travel article, so on with the show. Within Valletta, no, scratch that, within Malta there are few venues that offer the beauty and history of The Phoenicia Malta. We had the pleasure of staying here recently, and, quite frankly, could not have been more impressed. Steeped in history and boasting magnificent décor matched only by the stunning views, this hotel has long been recognised as one of the city’s most revered architectural treasures. 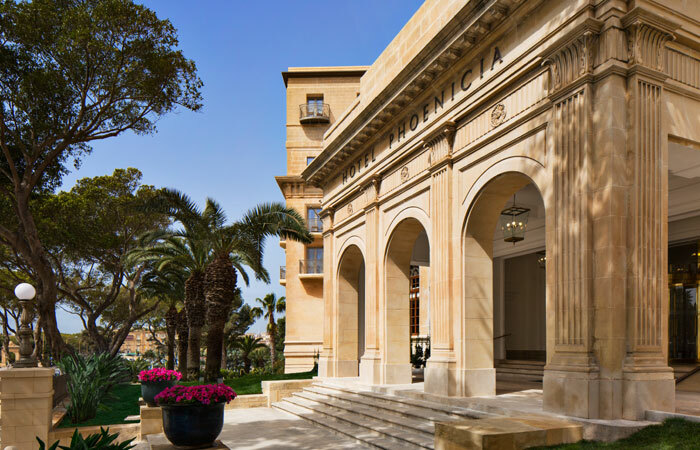 The hotel website says – “A stay at The Phoenicia Malta is nothing short of perfection; bringing together tradition, warm Maltese hospitality, modern amenities and all of life’s comforts for its discerning guests”. Now, we stay at a lot of hotels each year, but in this instance the sales pitch is more than just hyperbole. Recently refurbished, the facilities were impeccable and luxurious, and our group could not have wished for more attentive service. 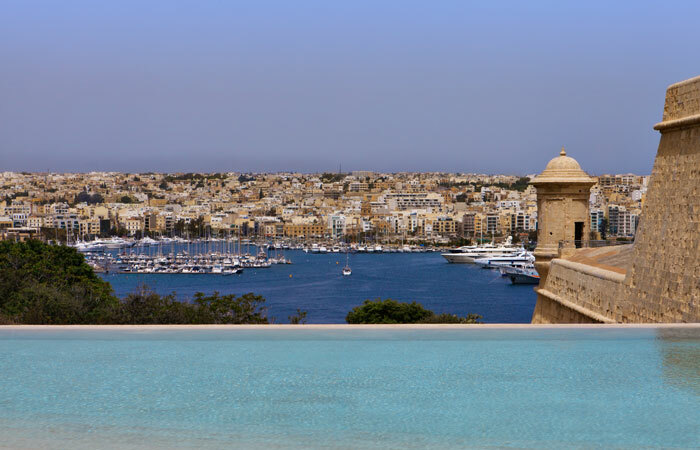 The hotel is located just a stone’s throw from Valletta’s most coveted attractions, (look them up, it’s not a travel guide!) With breathtaking views of the ancient skyline everywhere you look, you couldn’t be in a better position to explore this incredible city. (Or sit by the pool and chill if you prefer). All 136 of the luxury bedrooms and suites have recently been lovingly restored to an extremely high standard. Working with Peter Young Design, they have worked to retain the original features of the rooms, including the authentic tiled floors. 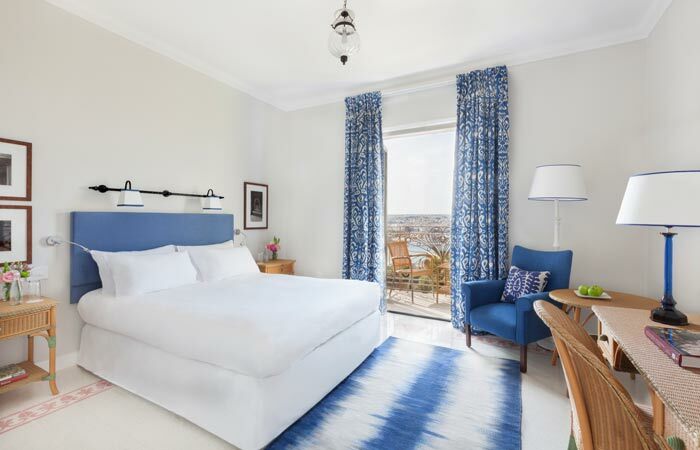 Plus the rooms benefit from astonishing views made possible by the hotel’s unique vantage point overlooking the island’s historic buildings, the Grand Harbour and Valletta itself. There are great dining options, from casual all day dining by the pool, to dinner at The Phoenix restaurant. The bars and lounges have all been beautifully refurbished and offer a different vibe depending on your choice. 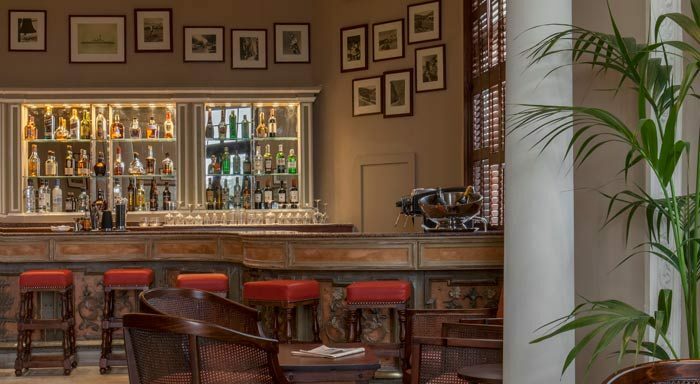 We especially loved The Club Bar, with its refined, gentleman’s club feel – perfect for an after dinner drink. But what about weddings? Absolutely, regardless of size or style, there are spaces here to suit every requirement for destination weddings. The elegant rooms, combined with acres of landscaped gardens, form the perfect backdrop for both intimate celebrations and large events. Much like Carmela Weddings (ahem) the hotel successfully combines a sense of elegance with stylish, modern touches, creating a juxtaposition that whilst still respectful of the hotel’s heritage still embraces modern influences. To make a real statement, you can go for the lavish surroundings of the striking Grand Ballroom – for over 60 years, a landmark in Maltese history, even once hosting Queen Elizabeth II. It is a truly stunning venue with a beautiful balcony seating area and its own private entrance. 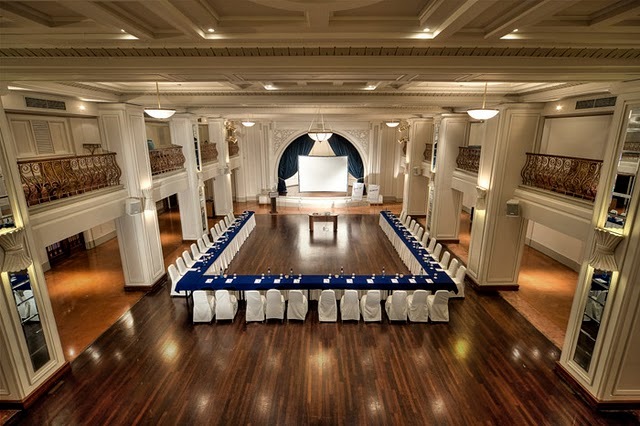 The ballroom can seat up to 200 for your ceremony, 250 for the wedding breakfast and up to 800 for an evening reception. Or choose the unique outdoor setting of the Bastion Pool. Reached via a little stone bridge at the edge of the gardens, it is the hotel’s most sought after reception venue, with sea views and a unique backdrop of St Michael’s bastions. The space can accommodate up to 800 guests, so there is capacity for even the grandest of weddings. Views from the Bastion Pool! For a more intimate wedding, there is the Gazebo, which sits on Valletta’s medieval fortified walls with stunning sea views over Marsamxett Harbour making it one of the most memorable ceremony venues in Malta. Set around an original art deco fountain, among acres of landscaped gardens, The Rotunda is a picturesque location for your wedding breakfast and evening reception. There are other equally lovely, smaller spaces available for private hire, so any size of party can be catered for. We genuinely love it, there is so much to offer and you will without a doubt be extremely well looked after by the attentive and professional staff. 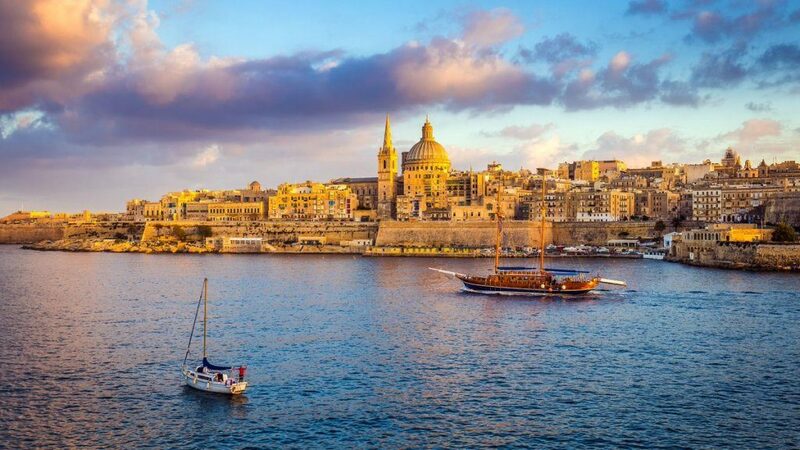 Combine this with our in depth knowledge of Malta and close working relationships with the best suppliers here, and you’re on to a winning combination. 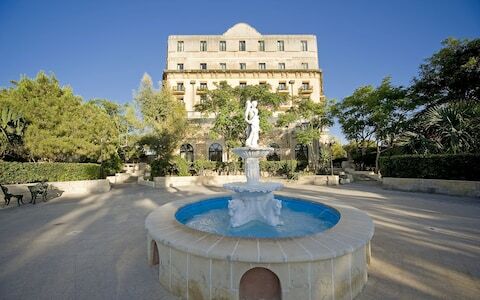 The Phoenicia – perfectly situated to explore Valletta! Just get in touch to find out more about our destination weddings service and how we can help you plan your big day.